CUSTOM PRINTED ATTIRE IS AN IMPORTANT COMPONENT IN BUILDING AND GROWING A BRAND! TO PRODUCE QUALITY PRINTED PRODUCTS EFFICIENTLY AND WITHIN YOUR BUDGET. "ALL WORK DONE ON PREMISE!" Screen Printed and Embroidered Attire and products whether for commercial or social use, help you stand apart from the rest. Personalization with your company brand mirrors the professional tone of your business and is fun at social gatherings as well. We encourage you to mix and match wearable packages to get all the attire needed in varying climates. 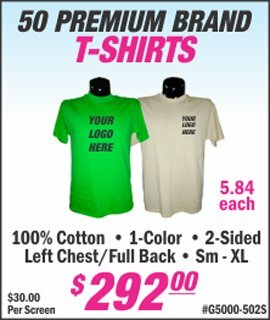 LetsPrintBaby.com, doing business as LPB Graphics, Inc., is a full service Printing, Sign and Marketing company in Edison, New Jersey. Since 1985, LPB Graphics, Inc. has been serving the business and social printing needs of our customers; building and promoting their brand, image, and corporate identities. From stationery to signs, direct mail services to logo design and marketing strategies, we have the experience, expertise and network of relationships to deliver your complete project... from A to Z. More specifically, we sell and manufacture Graphic Design, Printing, Screen Printing and Embroidery, Signs and Vehicle Wraps, Direct Mail Services and Internet Solutions, along with thousands of Promotional Products and Services. 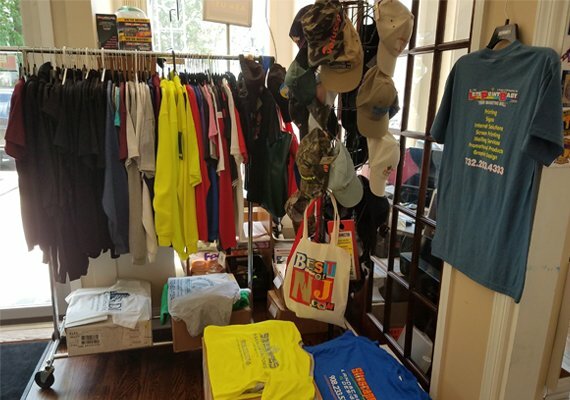 We offer much more than a Commercial Printer although Offset Printing (traditional ink on paper), and Digital Printing (inkless printing), are among our specialties here in N.J. The brochures were great. It is by far the most professional thing we have ever had and you guys are doing a great job. Thanks again Lisa. It was an absolute pleasure doing business with you and your company. The TV Channel Blocker totes were a BIG hit, thanks for being responsive.